I really think that you should blog. That whatever is getting in your way, you should shove it aside and just write something. I asked two questions, other than the slightly leading nature of the questions (woops, I’ll do better next time), I provided no direction on response length or style, so the responses varied greatly. 1. What’s been your biggest blogging challenge (finding the time, picking good topics, the technology, etc.)? 2. What piece of advice would you give (or have already given) to an evaluator or researcher interested in starting a blog? Advice and challenges change over time, so it was important to me to reach out to bloggers with a wide range of experience. This post would not exist without the expert help. I’ve thanked each blogger, but if you get anything out of their advice, please send them your own appreciation. A little admin before we get started…I’ve been considering putting together an online workshop on blogging for evaluators and researchers. The basic approach would involve walking through content development, helping you set up the technology, and talking about strategies for reaching an audience. The workshop would take place on the web and include video tutorials and practical lessons. I would want to do it right, so this would take a lot of work on my part, and I’ll only set this up if there is enough interest. So if you are interested, sign up here to let me know. I think the best advice I’ve gotten and would give is to just keep things simple and believe – believe in your ideas and experiences and that there are people who are reading. Don’t over think things too much and have fun. Create a regular schedule for blogging and stick to it. This is something that I really need to work on, but I think it’s important to set a realistic writing goal for your blog (number of posts per week, month, etc.) 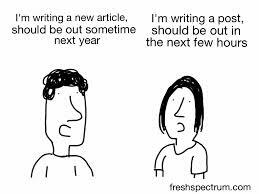 and then reserve a specific day/time per week/month where you commit to writing on a regular basis. This will ensure that you take the time to gather your thoughts and put them out into the blogosphere. b.) having the confidence to put it out there – I hold back sometimes thinking about the fact that lots of people are blogging about similar ideas (after all, the “hot topics” are of interest to lots of us), and wondering if I have enough of an original spin on something to create a viable post. a.) Just do it! You have virtually nothing to lose. I overcame the concerns about “what if I won’t have enough time or enough content, or enough visitors,” etc. by coming to terms with the fact that if I write something, there it is and it’s fine. If I don’t have time or content, I simply don’t post. If the blog goes by the wayside and I decide to move on to other projects, I’m OK with that. Holding myself to a weekly schedule didn’t work for me for very long after all, and I’m OK with that. It may very well work for others, so I would advise them to try a schedule and see how it goes. Blogging is somewhat like dieting – you may have to try different strategies; some may work for a short time, or a long time, or not at all, and you have to be willing to change your strategies based on your results. And your expected results are unique to you. Some people diet to lost weight, some to alleviate a health problem, some to feel better. Some people blog for fun and because they enjoy writing; others do it to build a reputation or clientele, or to sell their products. b.) Some posts will be more interesting and receive more traffic than others, and so be it. Whether you’re Seth Godin, or Sheila Robinson, traffic will ebb and flow and I’ve learned that that is not what it’s all about for me. Sure, it’s fun to watch the numbers and I get excited when I get more traffic and people are paying attention to my work. Who wouldn’t? But neither am I crushed when a post fails to generate much interest. It’s all fun for me, and the evaluator in me finds it interesting to look at my data and think about what people like and want to read. But I have nothing to sell right now, so my goals may be different from some others. At first: Nor having anything to write about. Now: Having way too much to write about. Include an image with every post. Images make your content more share-able (aka a mini version of your image will show up when you and others link to your post on LinkedIn, Facebook, Google+, Pinterest, etc. 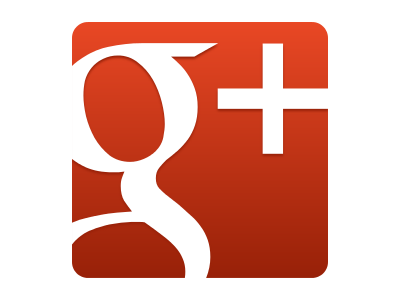 )… which means more views and more appealing, interesting posts. Get creative. Avoid those generic stock images. Go for screenshots, photos you took yourself, videos, sketches, and cartoons. 1) I kept a blog for more than a year before gaining any traction. The turning point for me was when I started the 5×52 project. I let go of the idea that I had to write full-length scholarly ‘high-quality’ posts. 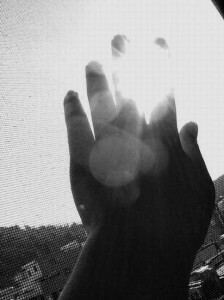 I realized that the blog could be a space for my thinking. Instead of insisting on writing for an audience, I wrote for myself. I guess what this boils down to is this: Blogging is simply a platform. There are many successful models of blogging. The important thing is to make blogging goals consistent with one’s goals. Don’t Emulate. Create. Being regular and constant has been my biggest blogging challenge. Some (good) months I can write two or three times what I write in others (bad months). I have also tried to have at least a “light post” each week (smartly call “Viernes Light”), but the issue of regularity has also been present there. I cannot say that I can´t find good topics to pick, usually the problem has been that there are several good topics I would like to write about them. Writing a post is usually lot of work, but don´t forget to let the world know about it! You should become a good friend of Facebook, Twitter and LinkedIn, and find the smartest way to post in each of them. For instance, in LinkedIn you should carefully select the groups more appropriate for your topics, and be careful to not spam every group with your messages (you will receive some warnings before being expelled for not following the etiquette). I’ve been blogging for a couple years now and I’d say the fire burns out for me at times and I can’t think of anything fresh or relevant. look outside of evaluation for inspiration and tips…places like problogger. Make efforts to engage and partner with bloggers online and offline. Find a niche…quick, you don’t want people guessing what they’ll get from you all the time. Have a larger purpose for your blog, what mark do you want to make, what’s the ‘end goal’? Opening myself to criticism. Blogging was originally just an outlet for me but as it grew and got attention I realized the world includes people who like to argue and Internet trolls. Choose topics you want to learn more about and use the blog as an excuse to bone up on your skills or knowledge a bit. I haven’t had any particular blogging challenges. Perhaps because I came ‘late to blogging’ compared to many of my colleagues and friends, I asked for a lot of advice before I started blogging and mostly knew what to expect (and perhaps challenges to anticipate). Blog when you have something useful to share – don’t be bound by specific timelines and feeling like you ‘have to write something’. 2) Creating a range of voices that speak to our approach, our experiences and reflections that resonate with a variety of audiences and which compel others to take risks, have confidence in their inherent knowing and to strengthen their intentionality. 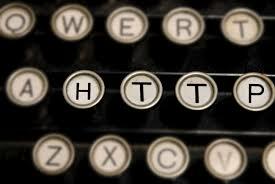 Spend some time looking at other people’s blogs and the blogs they read. Find ones that speak to you in terms of perspective and tone. d) what is my perspective/voice (expert, trainer, synthesizer….) ..etc. And now, just write. Make yourself a schedule and commit. It doesn’t get any easier unless you practice. Oh, and part of the value I find in blogging is disciplined reflection on my own practice. Definitely finding the time! Patricia and I started strong but seem to have been so swamped with other things that it is difficult to get much up on the blog. But, we would rather do good stuff less often than just fill the space for the sake of it. The blogs I love the most are the ones where the bloggers’ personalities and senses of humor shine clearly through. Write good, thought-provoking stuff, but don’t be shy about putting your own signature spin on it. The nice thing about blogs is that people deliberately opt to tune intoyou – unlike discussion lists, where we have to be conscious of chewing up too much of the airspace. Don’t swamp people with too much content, but make whatever you put out there fun to read! And a cute cartoon will do wonders as well! Finding the time is a good excuse, but I am too intimately aware of my stupid internet browsing habits to justifiably argue I don’t have time to blog. I think more challenging is not to psych myself out. I will regularly start posts all to decide that whatever “insight” I’m writing about feels so plainly obvious to me, that it wouldn’t be valuable to anyone else, and then scrap the post all together. There’s a lot of crap and dubious advice out there. I always encourage folks who want to start blogging to not be afraid to elevate their posts above the all too common nonprofit blogging dribble. I like to think about blogs as light version of a research report or paper. In this framing, blog posts are not totally absolved of the constraints of substantiating arguments and citing sources. The best bloggers are those who I learn from. To that end, I’d advise new bloggers to think about blogging as (at least in part) a teaching platform. For me it is still getting over publishing and putting myself out there. Even when I am doing more of a reported story than a blog/opinion I feel a sort of resistance to publishing and the vulnerability that comes with it once it is out there. The other stuff is relatively easy for me at this point, but there is that fear of rejection or failure that immediately follows hitting the publish button. Think of it as an extension of what you are already doing. You are reading and pulling together a lot of information and resources about what you know best. Blogging is a public way to gather that information, make a few notes and share with others. The benefits are that people will interact with you. It can foster connections and potential suggestions/opportunities that may not have existed prior. Also, there is the fact that there is evidence showing how blogging about research can lead to more citations and reads of published works. As long as the person does not say anything improper, blogging is a great support for a researcher’s work. Originally it was the discipline to get at blogging and to carve out time for it. It took me 2 years to become a regular blogger but at some point it clicked and became a bit of an addiction – of the nice type though! No, more recently I find that the challenge has been to precisely reverse the engine and to perhaps blog a bit less but really aim at good quality posts – the wow posts you mentioned. I sometimes post a piece that I know I’m not too happy with – but it’s sometimes difficult to resist the instant gratification of getting a post out there and seeing the reactions. First off, to find out that they are not alone in this and to look at other testimonials and experiences from other researcher/evaluator bloggers (it’s likely to be much more convincing coming from their peers than from any other source), then to think carefully about the focus of their blog and its relation with their organisation/clients etc. This can become a thorny issue so it deserves a bit of thinking. Thinking big picture, one of the biggest and most exciting challenges is change. Adapting to unexpected change started right away. When we started blogging six years ago, the idea was that it would be a place for my sociology instructor friends to swap images we were using in teaching. As more and more people started reading who weren’t sociologists, we had the opportunity to adapt the site, making it a place for anyone interested in sociological commentary. The result was a lot more work and responsibility, but the reward was proportionally exciting. Technological change has also offered both opportunities and new demands. When we started, blogs were just blogs. As the years have gone by, the importance of being on Facebook (especially) and Twitter (secondarily so) and the fun possibilities of things like Pinterest have emerged. Now it isn’t just Sociological Images, it’s Sociological Images and its auxiliary sites. These are now all part of the day-to-day work and reward of the site. Finally, my own career has changed in ways that I never anticipated. The blog has made me more visible as a social commentator and I’ve had wonderful opportunities to speak to journalists, write for well-known outlets, and travel for public speaking. Together, the rising readership, expanding reach of the site, and the new dimension to my career has required me to adapt many times over. It’s been a fun, but wild ride. Academic blogging is, I believe, win-win. As a community, the more we share each others material and try to draw attention to each other, the more social science will become a go-to way of thinking about social problems. So, if you’re interested in starting a site, think about all other sites as your friend. Borrow their content, let them borrow yours. Talk them up and refer people there. Link and link again. When we all do our best to draw attention to social science as a lens, more and more people will visit all of our sites. When they do that, the policy makers, voters, and Thanksgiving table debaters all become better able to understand our world and help others understand too. And that’s a wonderful thing. The biggest challenged with FlowingData is probably maintaining the right balance between academic and casual. If I get too technical, I confuse a lot of readers, but I can’t get too casual, because I might oversimplify concepts that are actually complex. It’s really easy to start a blog these days, so you might as well try it out. Some researchers might be worried that the general public will misunderstand findings, but it’s a great chance for you to explain what you do and involve yourself with groups of people who are excited about the same stuff as you. I would say that the biggest challenge with blogging has to do with time. And, by this, I don’t mean “finding the time” to blog, but more to do with pacing. I’ve been blogging at Racism Review since 2007, along with Joe Feagin, the blog’s co-founder (and, long ago, my dissertation chair). Ours is a scholarly blog, so we’re always trying to take some current event or news item and reflect it through the research literature to add a new dimension. The pace of how quickly things happen online and the pace of how slowly scholarly research happens are really at odds with each other. I often find that by the time I’ve really thought deeply about some item rippling through Internet, the moment of when that is ‘new’ has long since passed. The other challenge that has to do with pacing is thinking about the long haul. We’ve been blogging since April, 2007 which, according to my math, is a little over six years. When we first started it, we tried to blog every day. Posting every single day is a pretty daunting pace to keep up with over a long period of time. To help ease that burden, we’ve tried to enlist as many ‘guest bloggers’ and additional contributors as possible, but sometimes cajoling other academics into blogging presents its own set of challenges. In general, I think we’ve done pretty well keeping it up given that Joe and I have very busy academic lives beyond the blog. I get asked for advice about blogging fairly often and my biggest advice is to figure out what your particular niche or formula is. As I mentioned, at Racism Review, we try to connect current events having to do with race or racism to solid academic research. Having a really very clear, specific idea at the outset about what your contribution will be makes it much easier to get started and to maintain it over time. There is an obvious answer here and there is a somewhat deeper one. Of course it’s a challenge to find the time. I could do other things. I could read. I could sleep. I could go for a run. I think the biggest challenge has been to find the right direction for this blog. After almost six years, I’m still not sure where this thing is going. I keep changing direction. Sometimes, somebody tells me they do or don’t like something. But I don’t have a clearly defined audience like a fashion blog or a technology blog or similar. It’s not that there aren’t enough good topics, there are more than I could ever write about. Rather, the question is what do I think I can contribute to? I don’t care about just posting links to interesting stuff, others do that already and I can’t bring myself to just summarize what somebody else has done for a link posting. The challenge is to not let that paralyze you. I keep a list of topics in my todo program, in a folder. When I don’t know what to write, I look through those and pick one. You need to keep writing, and you need to try things to see if they work. A simple posting today, a little visualization project next week, then a book review, etc. To summarize it in a word, perhaps the biggest challenge is consistency. Consistency in topics, style, and frequency. 1) Don’t worry about the technology. Don’t tinker. Just write. 2) Pick an audience to write for, but don’t get too focused on that. Your audience might change. People you wouldn’t have expected to read your blog will read it. Be prepared to go outside the box and change direction accordingly. But to write reasonably well, you need to have an idea of who you’re writing for. 3) Hang in there. Nobody will read your blog at first. Nobody. After a year, you might have a few readers. Don’t give up. A blog doesn’t just explode onto the Internet (unless you’re incredibly lucky). It’s going to take time. If you give up after a few months with just a few readers, you will never get more. Before I started blogging, the biggest concern I had was whether I would have the time to keep up with my blog. The advice I got from Cory Doctorow (Boing Boing) was “make the time.” And he was right. 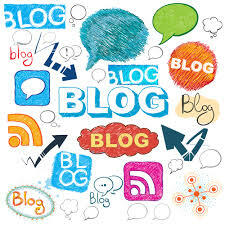 For me, a key is integrating the blog into the broader range of activities I am doing, so I am always looking for ways to use the blog in my teaching, my research, my recreation life, my friendships. You need to decide going in how often you are going to blog and stick to it like you would do any other deadline. On any given day, there is always going to be something more pressing than blogging, so if you do not think of it as a responsibility to yourself and your readers, you will slow down and eventually stop. I think of it as like a journalist putting out a daily edition, i.e. it’s a deadline that must be met. I put it out at a consistent time on a consistent day and I can count on my fingers the number of times I have missed a deadline since I started my blog in 2006. When I need to take a break, I announce that I am doing so and give myself permission for downtime, but I do not miss a deadline arbitrarily on a day in, day out basis. Given the complexities of my life, this means I am planning further and further ahead, so I have a fall back if a piece of content fails to materialize. For this to work, I end up balancing between topical issues and ever-green content that I hold in reserve in case I am facing a hole on any given day that needs to be filled. I’ve been blogging for ten years now. I love it. I look at it my personal learning time and I try carve out a half hour or hour every day to write about something. This reflection time is so important. But, with that said, what’s hard is to keep up the discipline so I make the time to reflect and write every day. Sometimes with a busy speaking schedule and client work, it is hard to do. My biggest challenge is when I get bored … when my muse goes into hiding. Sometimes, I’m so excited new developments or new angles on topics that I’ve been writing about – but there are some times that ennui creeps in. What I do is allow myself to write about a slightly different or adjacent topic or recruit guest bloggers and take a break. Look at your blogging time as a form of professional development and a commitment to write something regularly. Don’t get caught up with making it perfect either …. a blog is different from writing a research article. Decide on the audience you want and ignore everyone else. Write every single day. If something you write spreads to the audience you care about, and if it changes them in the way you hope, write more like that. Are you a blogger, if so, what are your biggest challenges? Have any advice to share, or reiterate? Not a blogger, why not? What’s holding you back? ~ This post is by Chris Lysy and originally appeared at FreshSpectrum; it is re-blogged here with permission. This entry was posted in Knowledge Streams, Tools, Writing and tagged advice, blogging, tools on September 11, 2013 by Jessie Daniels. Many of our efforts here at JustPublics@365 are focused on getting scholars to share their research outside of the walls of academia, particularly through social media and big media. Workshops in our MediaCamp series, such as “Op-Ed Pieces and Pitches: Framing Research for Public Audiences” and “Being Interviewed on Camera: Big Media for Academics,” aim to do just that, and we’re excited with the various successes that we’ve had. I’m delighted to report on another success, this time from my colleague Jessie Daniels. Jessie, one of the Co-PIs of JustPublics@365, had a letter co-written with Joe Feagin published in this past weekend’s New York Times as part of the “Sunday Dialogue: The Meaning of ‘Race'”. Coming on the heels of the George Zimmerman trial, Jessie and Joe provide a necessary reminder of the shifting definitions of race and their ramifications within our culture. Congratulations to Jessie and Joe for exemplifying what JP@365 is all about. Mr. Hodge raises an important question about how to simultaneously destroy the myth and remedy the harm of the myth of “race.” But Mr. Hodge, like almost everyone else, is operating routinely out of a particular way of seeing that filters and distorts everything about “race.” It is what we refer to as the white racial frame, and extensive social science research demonstrates the myriad ways that laws, politics, culture and social relationships are embedded in it. It makes whoever gets considered “white,” by definition, all right. The harm of white racism is real, and takes the lives of black and brown on a daily basis, decade after decade: Trayvon Martin, Oscar Grant, James Byrd Jr., Yusef Hawkins, Emmett Till and so many others. The danger in trying to dismantle the myth of “race” before we are ready to remedy the harm of racism is that we will do neither. The writers, professors at CUNY Graduate Center and Texas A&M University, respectively, are the co-founders of the scholarly blog Racism Review. This entry was posted in Knowledge Streams, News, Writing and tagged dialogue, NYTimes, race on July 23, 2013 by Matthew K. Gold. 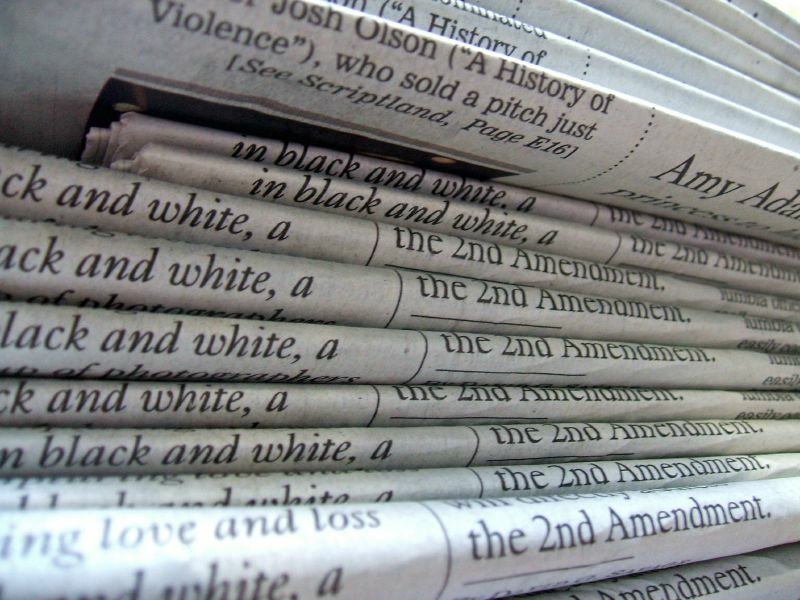 Partnerships between academic social science researchers and journalists hold great promise for addressing inequality. At a meeting earlier this month at the London School of Economics (LSE), Professor Tim Newburn of the LSE discussed the Reading the Riots project. This project was run jointly with The Guardian with the aim to produce evidence-based research that would help explain why the rioting spread across England in the summer of 2011. The slides are below and the full podcast of the event is available. It’s definitely worth a listen to hear Newburn describe the opportunities and challenges of this unique academic-journalism partnership. As Newburn describes, one of the key opportunities the partnership with The Guardian provided traditional academic researchers is reach. The readership of The Guardian far exceeds that of any academic publication by several orders of magnitude and that’s really a game-changer for social science research. At the most basic level, it means that academics need to think about who they want to speak to (and with) when moving beyond the narrow scope of other specialists. Among the challenges that Newburn enumerates are the radically different pace of work for academics and journalists. Journalists are trained to write quickly to meet deadlines. Academics, well, we like the sound of deadlines as they “whoosh” passed and are accustomed to a much, much slower pace of producing writing (aside: I think this is part of why blogging proves so challenging for many academics). In our own academic-journalism partnership between The Graduate Center and the CUNY J-School, I’ve been delighted and amazed at the success of this collaboration around creating the MediaCamp workshops. These workshops offer skill–building in media and digital media combine research and digital media for the public good. We haven’t yet attempted collaborating around a specific research topic, such as the Reading the Riots project, but perhaps that will be next. What Newburn’s Reading the Riots project and our own MediaCamp workshops mean to me is that there is a new kind of space opening that combines the best of both research and journalism. In this hybrid space, academics and journalists will increasingly collaborate, borrow and remix methods from both fields, and at least potentially, reach wider audiences beyond the narrow range of specialists. Perhaps most exciting to me, is the idea that academic-journalism collaborations could be an innovative way to address issues of social inequality. This entry was posted in Impact, Knowledge Streams, Publics, Writing and tagged "Reading the Riots" The Guardian, academic-journalism partnerships, collaborating, journalism on July 23, 2013 by Jessie Daniels. There are far-reaching changes happening in higher education today, and I think we need some new – or a least, borrowed – terms for talking about these changes. Journalists and scholars of journalism talk of “legacy” news organizations — such as The Philadelphia Inquirer (now defunct). 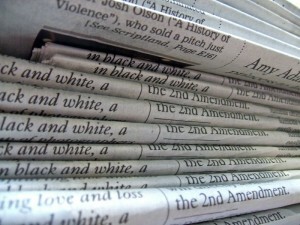 The Philadelphia Inquirer, like other legacy news organizations, was based on print publication and relied on newsstand purchase or home delivery option for economic viability. Ultimately, it wasn’t able to make that succeed as a business model (see C.W. Anderson’s excellent Rebuilding the News. Anderson, @chanders on Twitter, is a CUNY colleague). In contrast, there are many news organizations that are increasingly “digital” in the way they both gather and report the news, and the way they make money. Most notably, The New York Times now includes remarkable digital content, such as Op-Docs and Snowfall; and, it relies on a digital subscription model in addition to print sales. To be sure, there are lots of differences between academia and the news business, and I want to be clear that I’m not suggesting an easy parallelism between the two. I do, however, think that this language may be useful for framing how we think about some of the changes in higher ed. LEGACY ACADEMIC SCHOLARSHIP. What I’m calling a “legacy” model of academic scholarship has distinct characteristics. In broad terms, “legacy” academic scholarship is pre-21st century, analog, closed, removed from the public sphere, and monastic. I think that this is mostly going away, but only partially and in piecemeal fashion. What did the legacy model of academia look like? Within a legacy model of academia, the only option for publishing was in bound volumes or journals. We typed words and paragraphs on paper. We had to use white out to make corrections on things we typed. In order to “cut and paste,” we would literally cut sections of paper, a paragraph at a time, and then paste them with glue or tape in different order. We would go to libraries to find and read information. 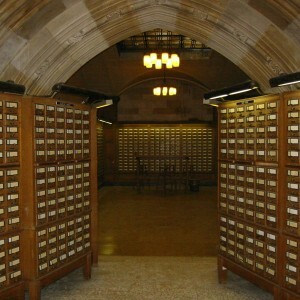 We would use card catalogs (like the ones pictured above) to look things up. In order to measure or demonstrate the impact of our research (at least in sociology), we used something called the Social Sciences Citation Index (SSCI), which tracks the number of times a particular work by an individual author has been cited by others in the peer-reviewed literature. So, for example, if I published an article then the SSCI would list my name and then underneath my name track all the citations referencing that article. In effect, the SSCI is a method for counting citations as a measure of academic success. The more citations in the SSCI one has, the bigger success as an academic. In many sociology departments, it was common practice to rely heavily, if not exclusively, on the SSCI to assess a scholar’s prominence in the field. 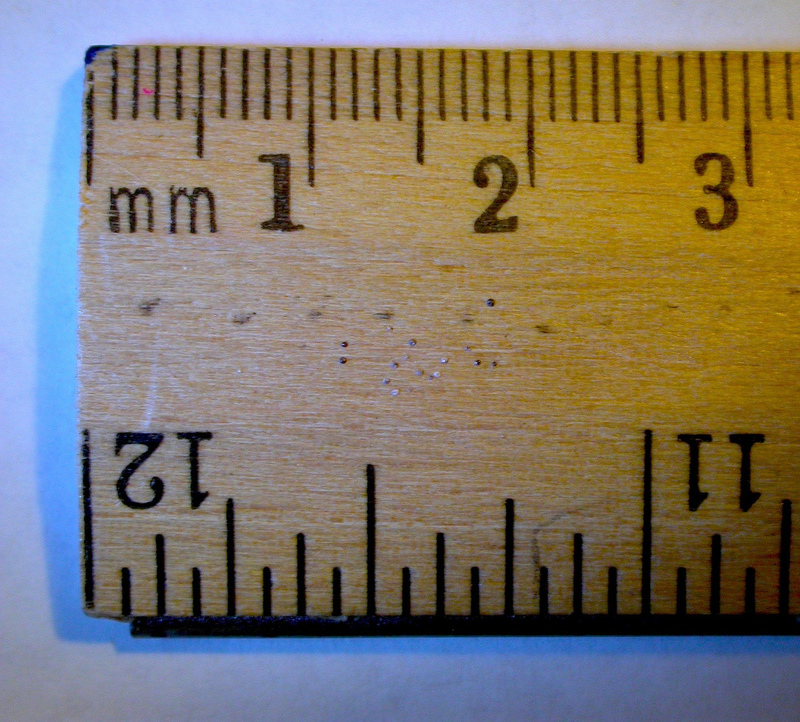 Tenure and review committees would actually use rulers to measure the number of inches beneath a scholar’s name within the SSCI as a way to assess impact. This crude metric of counting the number, and number of inches, of citations is characteristic of 20th century legacy academic scholarship. To be sure, academic scholarship is being transformed in the digital era. In contrast to the 20th c. legacy model, the emerging, 21st c. model of academic scholarship is digital, open, connected to the public sphere, worldly. To state the obvious, there has been an expansion of digital technologies. For some, this has been transformative because it is so different than the analog way of doing things. For others who were born after the digital turn, these ways of doing are simply the way things are. Whichever group you fall into, these digital technologies have already begun transforming scholarly communication. Simply put, the shift from analog to digital is about code, coding information into binary code of 1’s and 0’s. When this happens, it fundamentally changes how we can manipulate data. That is, information (or ‘data’) is easier to move around, edit, analyze in digital form then it is in analog. Think for a moment about the difference between “cut and paste” when it involves paper scissors clue and tape versus the simple keystrokes of control-x and control–v. This illustrates a key difference between analog and digital. The shift from analog to digital and the explosion of different sorts of technologies are already affecting how we do our jobs as academics. 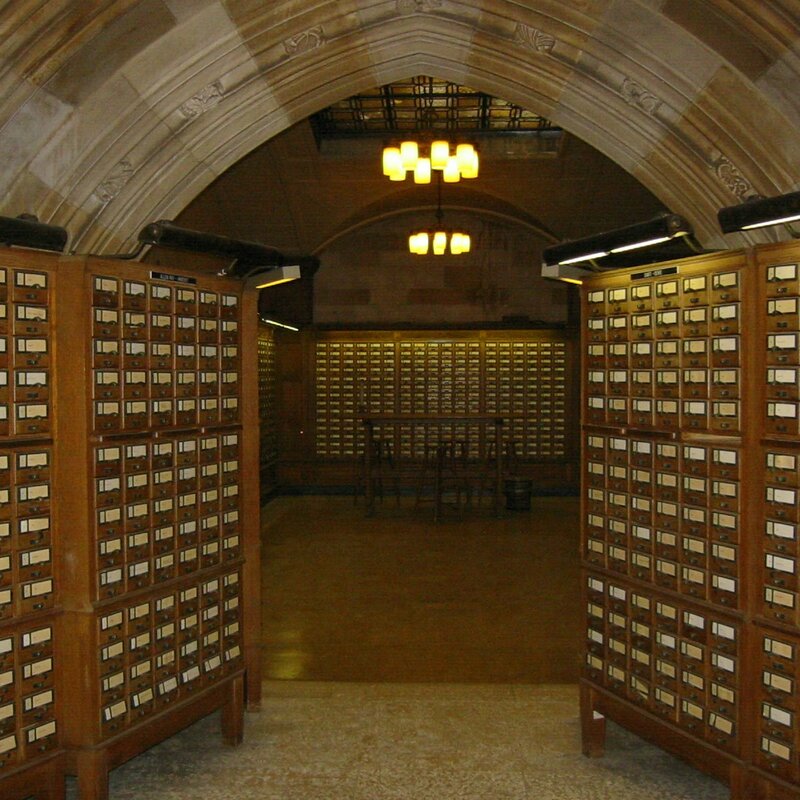 Rather than comb through a card catalog, we look things up on Google Scholar. The whole notion of a “library” is now one that’s digital, distributed, like the Digital Public Library of America (DPLA), which is a real game-changer when it comes to libraries in the digital era. While physical libraries remain crucial, the expectation among academics for how we use libraries has changed. As scholars we increasingly expect, and even demand, that there are digital tools within those libraries that we can use from any location, at any time. In fact, most graduate students and faculty I know would be outraged if they could not access their library at any time from any place. In many ways, libraries have led the digital turn in higher education and it is where academics have most embraced the digital. Digital technologies have changed how we keep track of things we have read, citations, and bibliographies. With tools like Zotero, we can create bibliographies, keep track of citations, and share them with others who have similar interests. Digital technologies have changed how we write. Technologies such as Commentpress (a WordPress plugin) make it possible to write collaboratively and make peer-review an open, transparent process. Several people in the digital humanities have used this technology to compile entire books for well-regarded academic presses. One of these is my colleague, Matt Gold, who issued a call for papers for his Debates in the Digital Humanities, and in 14 days he had collected 30 essays, which garnered 568 comments, with an average of 20 comments per essay. The volume went from call for papers to a bound volume in one calendar year, a remarkable achievement for an academic book. Kathleen Fitzpatrick, another digital humanities scholar used Commentpress for her book Planned Obsolescence. Reflecting on this experience, Fitzpatrick writes that these new platforms are changing the way we think about publication, reading and peer review. Digital technologies are changing how we teach and making them more open. We think nothing of emailing students. Some faculty hold office hours through IM, Skype or Google HangOut. At many institutions, Learning Management Systems (LMS) like Blackboard & Moodle are commonplace. And, some professors are teaching in ways that are augmented by blogs and wikis. To the extent that these new technologies allow sociologists to reach a wider audience, these are also forms of public sociology. 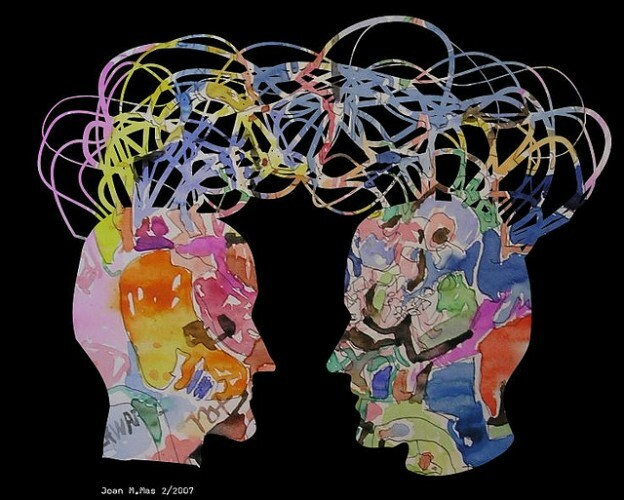 In 2012, The New York Times declared it the “year of the ‘MOOC’.” MOOC is an acronym for Massive Open Online Course coined in 2008 by Dave Cormier, to describe an innovative approach to teaching that fostered connection and collaboration, and was intended to promote life-long learning and authentic networks that would extend beyond the end of the course. Our own JustPublics@365 version of a MOOC, the POOC, is one that is participatory rather than massive and is closer to Dave Cormier’s original conceptualization. Our goal was to create something in keeping with the roots of CUNY as a public institutions, truly serving the public through education that’s open and available to everyone. We made sure that all the videos, the real-time livestream as well as the edited, archived videos were open to anyone that wanted to view them (without registration). Likewise, we wanted to make all of the readings available to anyone that wanted to read them, even if they didn’t have a CUNY login and even if they weren’t registered for the course on our site. This sort of commitment to openness is one of the major distinctions between our efforts and the large, corporate MOOCs, which among other shortcomings, are not very “open.” As it turned out, making all these readings truly open turned out to be an enormous amount of work which fell on the shoulders of our heroic librarians. We are still at the beginning of understanding how digital technologies will transform pedagogy in higher education, but it seems certain it has and it will continue to do so. 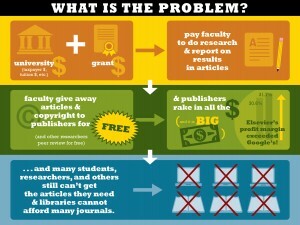 Part of what’s changing about scholarly publishing has to do with changing views of copyright. It’s beyond my scope here to fully explore copyright, but Larry Lessig explains a great deal about copyright and how current laws don’t make sense in a digital environment in this TED talk. If you want to understand more about copyright, there’s no better place to start than with Lessig. There is a lot wrong with academic publishing, much of it having to do with who holds the copyright to the work we produce, and more people are seeing that now. 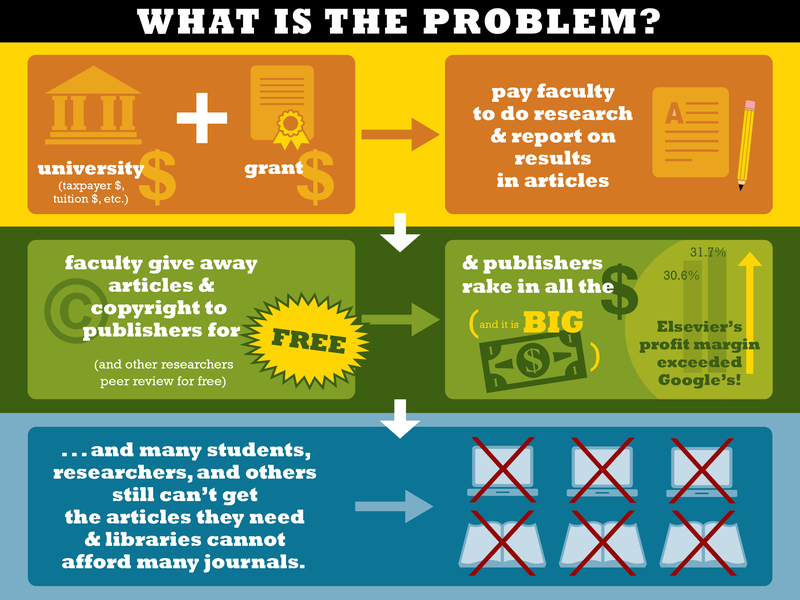 What’s wrong with scholarly publishing? This infographic explains it all. Give away this writing and copyright to publishers. Selling our work back to libraries at enormous and rapidly increasing costs. Finally, the very often people who might benefit from reading our work can’t get to it because it’s locked behind a paywall. As academics, we tend stash our research in places like JSTOR, where most people outside the Ivory Tower can’t get into. Some people have even begun to argue that it’s immoral to hide publications behind a paywall. A few scholars are marking a reasoned case for open access, such as Peter Suber’s book Open Access. Still others, like Jack Stilgoe, are simply dumbfounded at how stupid the system of academic publishing is. All these changes in scholarship, pedagogy and publishing mean the ways we measure academic success are changing, too. We are shifting from 20th century ‘metrics’ to 21st century ‘altmetrics.’ So, for example, Jeff Jarvis (another CUNY colleague) has 123,667 Twitter followers. That’s a kind of “altmetric” – a measure of his reach and influence. Increasingly, book publishers, even some employers, look for evidence of your reach on particular platforms before awarding book contracts, even some jobs. This is less prevalent in academia, but it is on its way. It might be useful to think about the way scholarship is changing in the digital era – as a shift from 20th c. models of creating “knowledge products” – to 21st century model of creating “knowledge streams.” With products – you count their impact once – with “knowledge streams” – you can also count various aspects of distribution – such as number of downloads, unique visitors to your blog, number of Twitter followers – which can have a much wider impact. There is not a complete transition from a “legacy” past that is behind us, and a “digital” present or future. The legacy and the digital are imbricated, that is, they overlap in the here and now. This can play out in painful ways. For example, on tenure and review committees – where reviewers are tied to legacy models of academic scholarship and those up for promotion are engaging with digital models of scholarship. 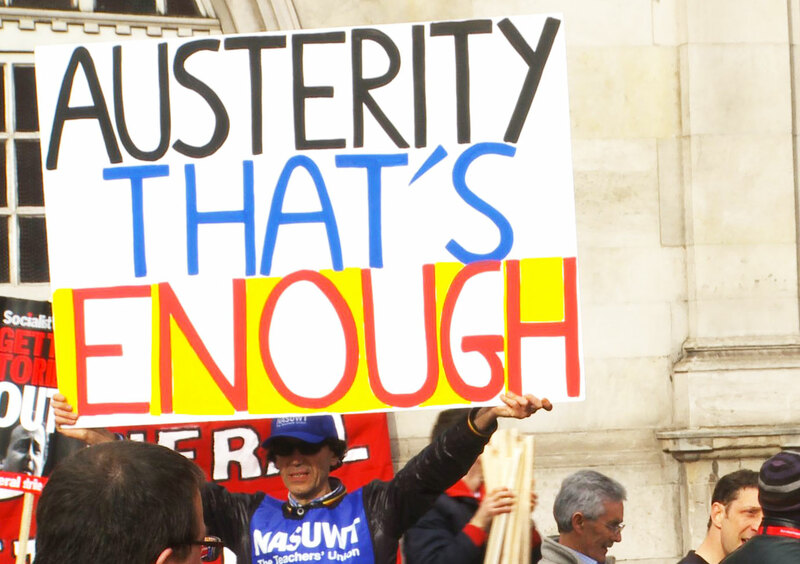 Of course, ‘austerity’ is a convenient lie that says we’re out of money but reflects the reality of economic inequality and that the rich and super-rich will not invest in public goods and services. There is a different political landscape in the UK, where there is an overall commitment to funding higher education. The Research Excellence Framework, or REF shapes these discussions in the UK. The REF means that the funding is tied to demonstrated “research excellence,” part of which relies on evidence of “impact” on wider publics. And, of course, there’s very bad news in academia regarding the way we hire (or don’t hire) faculty. An estimated 73% to 76% of all instructional workforce in higher education are adjunct faculty. Given the grim prospects for legacy tenure-track jobs in the academy, it is inevitable that many people with PhDs are going to do other things with those skills. Increasingly, given the grim political economy of “austerity” and the many, many under-employed PhDs, I think that the affordances of digital technologies will create more and more entities like the Brooklyn Institute for Social Research. In academia, as elsewhere, we’re faced with competing forces of commercialization versus democratization as Robert Darnton, of DPLA noted in a recent talk at the Graduate Center. 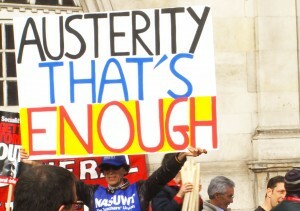 The political economy of austerity, up to and including slashes in funding to public institutions of higher ed, the adjunctification of the academic workforce, and the attacks on funding such as the Coburn amendment, point to this broad conflict between forces of commercialization and forces of democratization. Sometimes academics conflate the “commerce v. democracy “ struggle with the transformation from “legacy” to “digital” forms of scholarly communication, and I think this is unfortunate. Given this context, what are academics to do to resist the forces of commercialization? I argue that owning the content of your own professional identity is key to this… For most faculty, their “web presence” is a page on a departmental website that they have no control over and cannot change or update even if they wanted to. 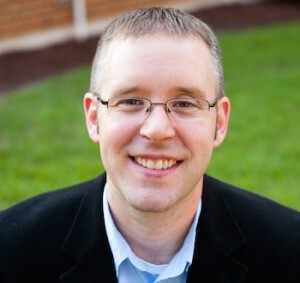 “Reclaiming the web” means owning your own domain name and managing it yourself, a move Jim Groom has put forward for students and I argue should be the default strategy for faculty. Too often academics, who are a contrarian lot, want to resist commercialization by refusing the digital. This refusal is misplaced and reflects a misunderstanding of the forces at play here. Owning our own words, “reclaiming the web,” and our own professional identity online as well as offline is just one step. Another step for academics, especially that handful with tenure, is to say “no” to publishing in places that don’t allow you to own your own work by retaining copyright. A further step for academics, and especially for those in my discipline of sociology, is to use blogging to open up a space between research and journalism in ways that are creative, interesting, and contribute to an engaged citizenry. 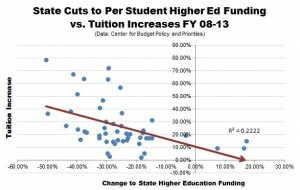 In sum, the current state of affairs in higher ed looks something like this. 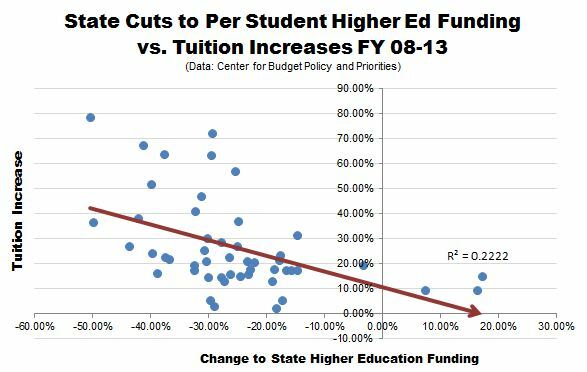 On the one hand, we have the grim political economy of “austerity,” declining support for state-funded public education and attacks on other funding mechanisms like NSF. On the other hand, we have these amazing new opportunities to do our work in new ways, and make that work open to wider publics. We are caught in the middle of the colliding forces of commercialization and democratization at the same time institutions of higher ed are making the transition from “legacy” to “digital” modes of operation. Resisting digital scholarship in order to forestall the forces of commercialization is a mistake that too many academics make. Instead, we as academics need to embrace digital scholarship in ways that help foster democratization. This entry was posted in #AltMetrics, Publics, Writing and tagged digital scholarship, legacy scholarship on June 27, 2013 by Jessie Daniels. I’ve written about some of these issues. See, for example, “Discipline and Publish: Public Sociology in an Age of Professionalization,” in Bureaucratic culture and escalating world problems: Advancing the Sociological imagination, edited by Knottnerus JD, Phillips B (2009): 156-71. ~ Arlene Stein is Professor of Sociology, Rutgers University, and co-editor of Contexts, a quarterly magazine of the American Sociological Association. This post is a re-blog from here. 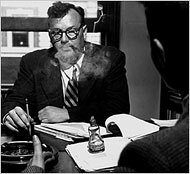 This entry was posted in Knowledge Streams, Writing and tagged academia, C. Wright Mills, scholalry writing, sociology on June 18, 2013 by Arlene Stein.